lesha limonov is a belarusian graphic designer and illustrator based in minsk. 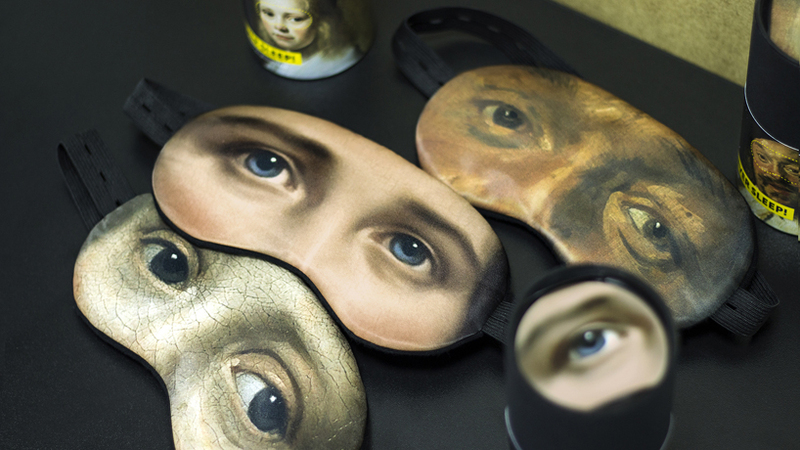 as part of the international rijksstudio award 2017, belarusian graphic designer lesha limonov unveils his sleep masks with eyes of iconic masterpieces in art. 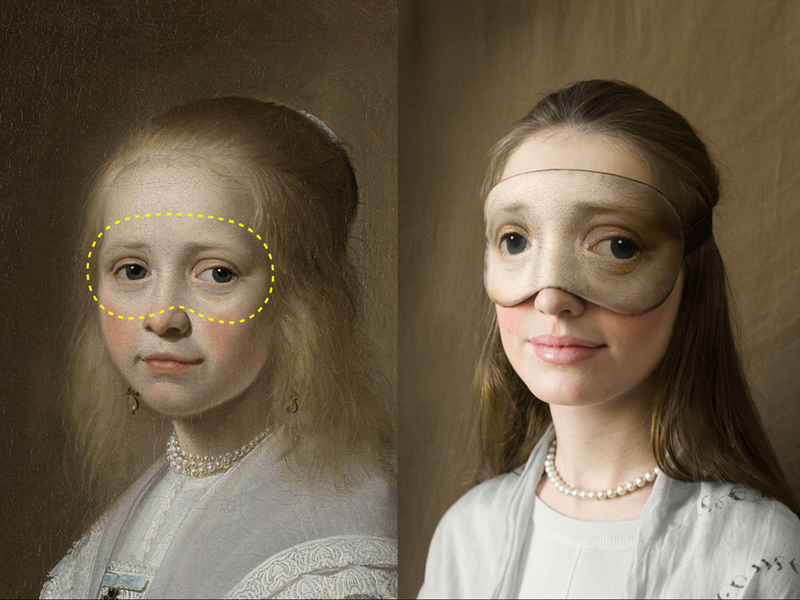 the competition, initiated by the rijksmuseum of amsterdam, invites designers to re-interpret the exhibited artworks and incorporate them into their creations whether in the fields of fashion, photography, graphic design or applied arts — among many others. 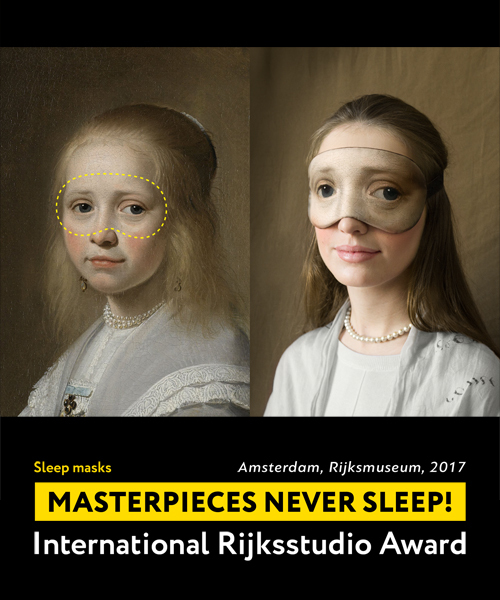 titled ‘masterpieces never sleep!’, lesha limonov’s project for the international rijksstudio award 2017 has been influenced by the idea that paintings stay awake even after the museum halls turn empty at nighttime. 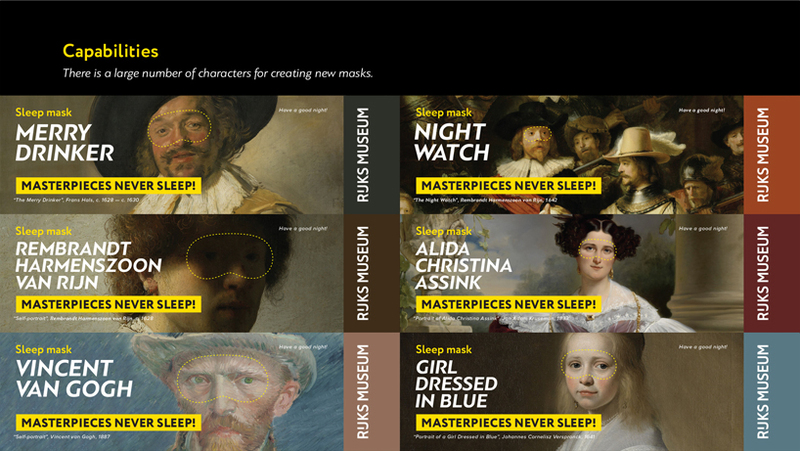 in other words, the masterpieces are looking out into the darkness, sleepless, and monitoring the surroundings until sunrise when the museum will open again to welcome visitors. 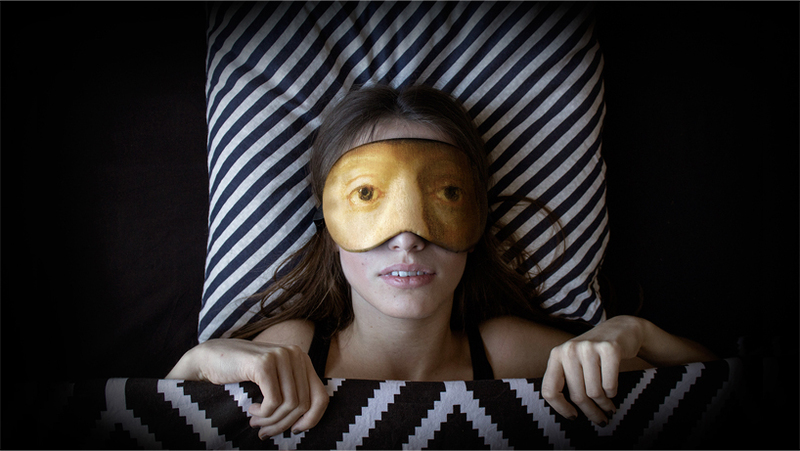 as the designer puts it, ‘by trying on the mask with painting character’s eyes, you can be sure that you’ll see true masterpieces in your dream! 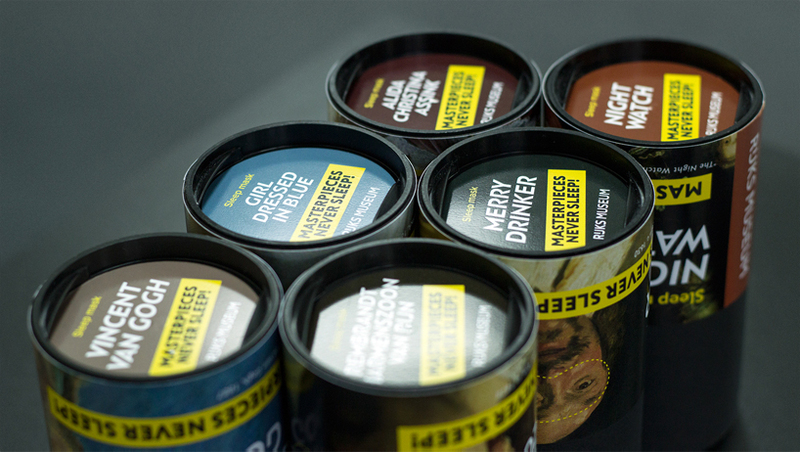 and your dream will be under protection, because painting heroes stay awake guarding your rest. 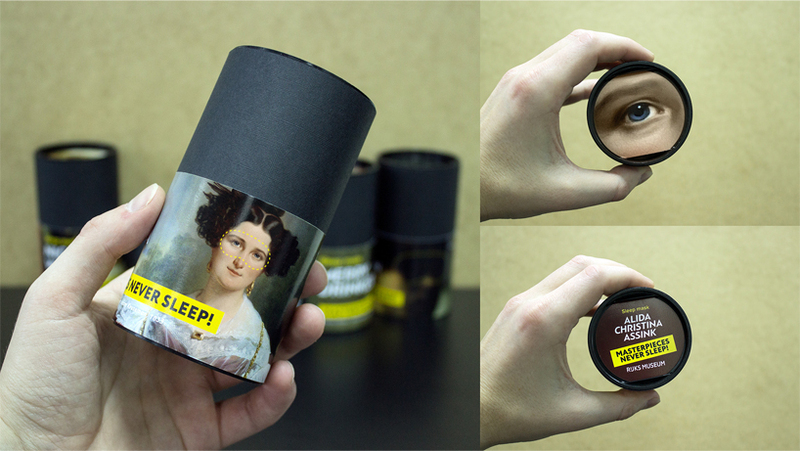 have a good night’. 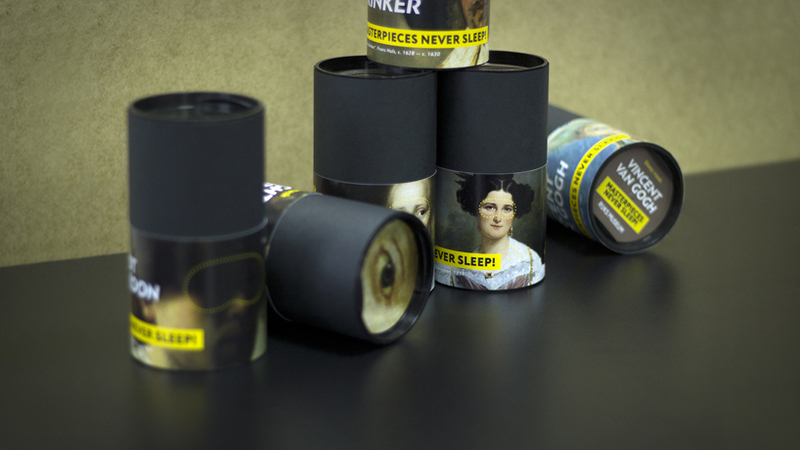 the packaging is presented in the shape of a cardboard tube, and each masterpiece is depicted with the parts of the eyes ‘cut-out’. 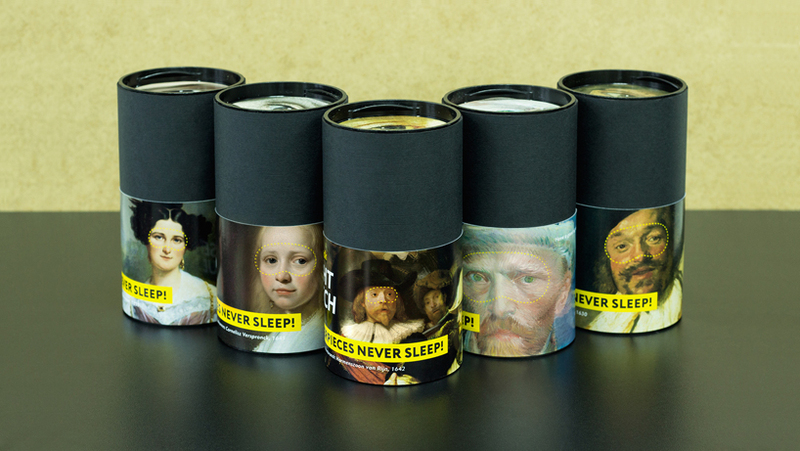 the portraits include some of the most renowned artists and their work, such as vincent van gogh’s ‘self-portrait’ (1987) and rembrandt’s ‘the night watch’ (1642).